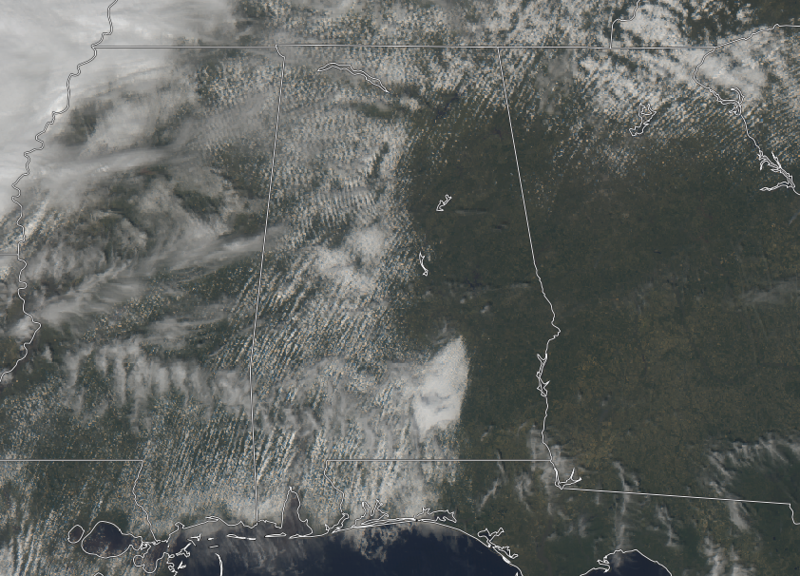 While much of the western half of Central Alabama has a mix of sun and clouds as we are approaching the noon hour, much of the eastern half of the area has sunny skies. No rain in the area at the moment and should stay that way until we start to cross into the early evening hours. Temperatures are quite mild at this point, ranging from the upper 60s to the upper 70s already. Birmingham is already near record-tying warmth at 75 degrees, while several locations are tied at 77 degrees as the warm spots. 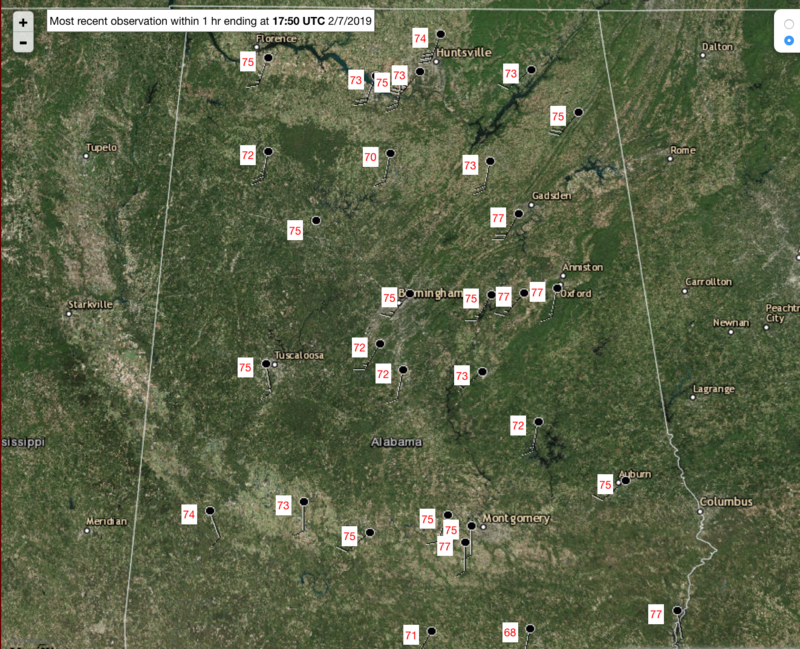 The only location in the 60s is Troy at 68 degrees. The cold front will move through beginning later tonight and through the overnight hours with temperatures quickly dropping into the lower 30s to the mid-50s across the area from northwest to southeast. As mentioned earlier, rainfall will begin to diminish as the line moves through the east-central and eastern parts of the area. Rain chances are highest in the northwest, at 80%, and drop as you move southeastward, ending up around 50% in the southeastern parts of the area (south of I-85). After the passage of the cold front during the late night and overnight hours, you’ll feel like Mother Nature is playing a cruel trick on you. After record-breaking warmth today, we’ll be back in the refrigerator on Friday. We’ll be dry with decreasing clouds throughout the day with afternoon highs only reaching the mid-40s to the lower 60 across the area from northwest to southeast. We’ll continue to have some clouds for Friday evening and through the overnight hours with lows down into the upper 20s to the mid-30s. 1861 – The temperature at Gouverneur, NY, bottomed out at -40 degrees, a drop of 70 degrees in one day. Two days later the mercury hit 55 degrees.